Tonight there was a large electrical storm on the West Side of the lagoon as we headed north in an attempt to discover nesting sea turtles. Turtles are a relic of the cretaceous period when dinosaurs ruled the land and seas as the dominant life form. 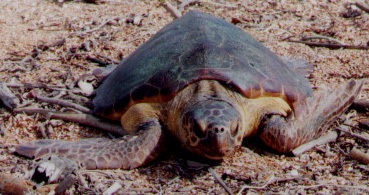 There are numerous species of tortoises (land turtles) and many fresh water species of turtles but only eight marine varieties exist on earth. 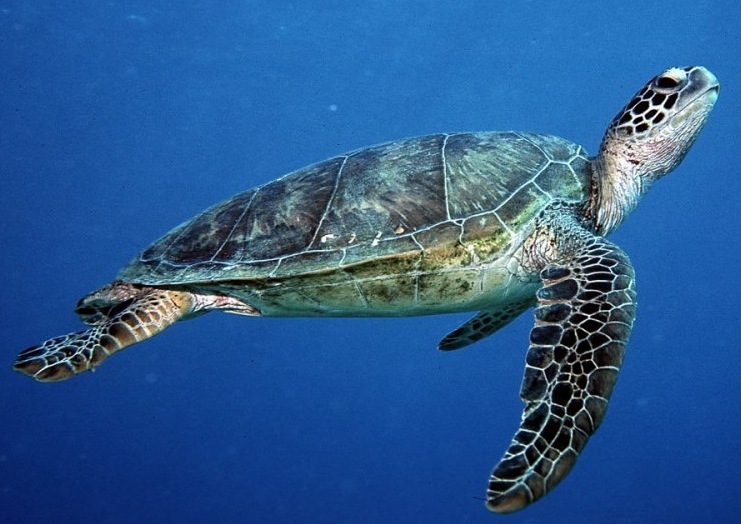 Of the eight sea turtles worldwide four species are found in and around the lagoon waters and three nest on the beaches along the Atlantic shore. The electrical display across the channel was enough to alight the entire bank of cumulous clouds and send enormous bolts of lightening to the ground repeatedly in two or three places regularly. As we approached the power plant entrance the storm stood out in ironic contrast to the man-made electrical energy facility as the wildly flashing static of the clouds generated astonishingly large lightening both up into the sky and down to the ground! We headed east out onto the beach through a trail leading into the high dunes and down onto the broad expanse of the foreshore. There was no moon; the Milky Way stood out among the bright stars and the Atlantic Ocean seemed a calm lakeshore due to the gentle lapping of the foot high waves. The rhythmic pulsing of the ocean's waves moved up and back along the shore covering what in the distance appeared to be loggerhead turtle tracks leading up into the high dune. Her head was out of position normally reserved for digging the hole into which she will deposit her eggs. Instead of facing the dune and digging deeply into the soft dry sand she was facing south along the run of the shore. In this position she could see us approaching. These huge specimens of this threatened loggerhead species stopped in her primal instincts to excavate lay and then cover over and camouflage her nest. She hesitated as we approached. Scared by the smell and press of human this huge mother burdened with eggs began her swift descent from the back shore beneath the dunes and made her way toward the breaking surf. She traversed the 700-foot distance in less than three minutes as she headed out to the cool sea in search of a more suitable site for her brood of 60 to 80 eggs. Her black hulk disappeared into the wine dark sea. What had spooked her from the timeless act of reproducing her kind? The odor of raccoons ghosts crabs, or we voyeurs? What could turn her away from delivering her store of eggs as seed into the earth? This ancient ritual had been disturbed. 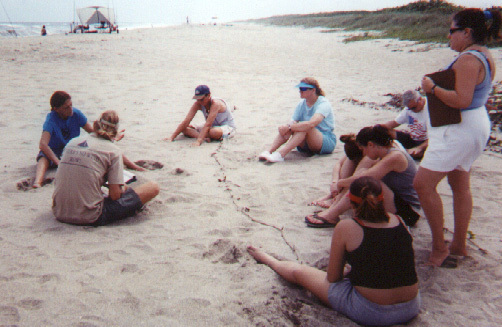 Her act of laying eggs, from whence -- in 50 to 60 days -- young sea turtles would hatch, was disrupted. For now she headed south along the shore in search of a more familiar spot. A spot they say which is near to the very beach from which she was hatched on some summer night so long ago that time, tide and hurricanes have swept away any evidence of her birthplace along the high dunes that hug this tropic shore. Gone beneath the subtle sea's waves the turtle's disappearance queued us to leave in pursuit of other tracks in the darkened sand. Now past midnight we ventured onto a nest made in early may. There a small loggerhead turtle had made his way to the surface and was about to head toward the sound of the sea. The lights from behind the dune from distant cities confounded the young hatchling's sense of direction. In a move so contrary to natural -- or due to the false lighting was this unnatural selection -- we acted. Taking the hatchling down to the edge of the sea as if in ritual of compensation we lifted his tiny flippers to the lip of the ocean. The day old youngster baffled by nature confounded by lighting and befriended by us made for the open ocean. On the energy supplied from the remaining yolk in his body this newly hatched loggerhead would remain in a birth frenzy. Such was the instinctual drive of the turtle who would continue for hours under the darkness of night to swim relentlessly out to find a refuge amidst the floating seaweed. Called Sargasso weed the turtle now had to find this floating nest in which to hide -- if her journey back to this place was ever to occur. Thus in the darkness, beside a tropical beach, beneath the press of humid air the life cycles of a mature and an immature sea turtle crossed just east of a tangled bank of sea grape, sea oats and beach bindweed. We lonely human creatures witnessed an even stranger, more starkly drawn ritual of survival. Treading ever too dearly close to the wellsprings of nature we glimpsed two necessary sides of life. The laying of the seed and the hatching of the eggs of a species so old and so enduring as to make us shudder in our ignorant self-importance. Surely our lives and these turtles lives have crossed here too on this and other tropic beaches wherever curiosity and determination chance upon each other. By interrupting one life giving act had we in any sense made restitution by bearing the hatchling to the sea?